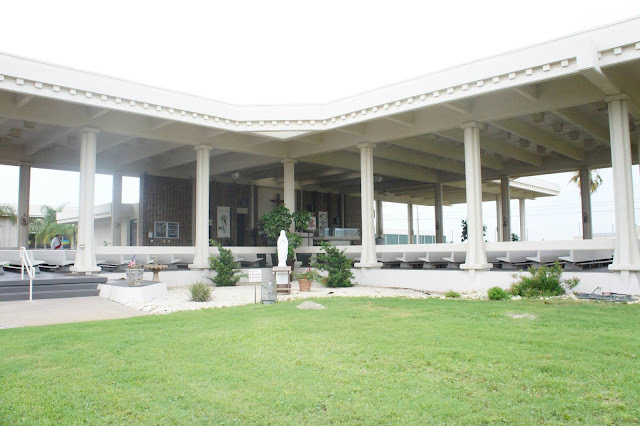 Enjoy Corpus Christi like the locals do! In the words of Bestfran: "Grabbed some of my favorites and tore it up in Padre! I won't call this the last hoorah because it isn't." If you're lookin' at this post goin', "since when you become a Texas/Corpus expert... Oh, You know about the time I started #TravelinTexan. Y'all can read that HERE. Some weekends back when Weddin' Season first started #AnythingforSelenas was planned. Sherry was gettin' married and we needed a last hoorah girls weekend. Thus the Corpus Christi trip. Truthfully, all that was decided was that much beach and Selena was to be indulged. Beyond that the weekend was to be a free for all. Well, I was havin' none of that. I have many an item to cross off my #TravelinTexan list. 200 to be exact. Best part you ask? Ok, maybe Y'all didn't ask, but I tell ya. When Annalisa went," How many items did we cross off your list? Wow, I feel so accomplished now." Ok, I lied. But hecks no you ain't allowed to, "Bless my Heart," tell me "Oh hell no," or take away my sweet tea today. No, the best part was how cheap we were able to plan this trip. Less than $170 a person and that included car rental, gas, food, and lodgin', excursions, etc . If you're a Texan and don't eat Whataburger, we cannot be frans. #SORRYNOTSORRY. If you stumbled upon this post via social media and you're lookin' at me all cocked eyed as to why I added this to the list, I'll explain'. Whataburger was founded in Corpus. You'll find one on just about every corner. At one point the franchise employed most of the coastal town. Number 143 on my list was to have a number 1 at the Original two-story Whataburger. For ya non-Texans, a number one is a Whataburger. I enjoyed it with spicy ketchup and a good ole' sweet tea. Like only a good Texan does. "Y'all it's as if we're in LA. Wait, but it's better cause we're in Texas!" 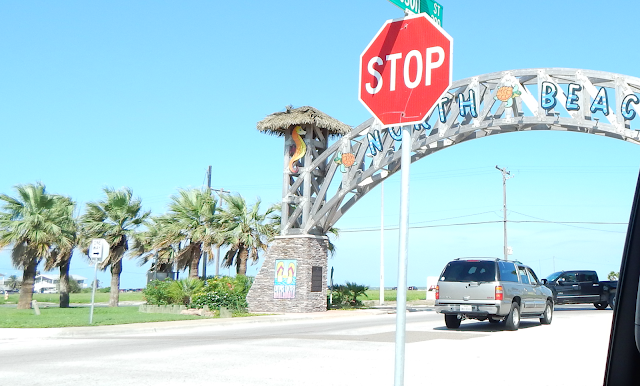 Those were the words uttered by Sherry's Sister as the Palm Trees and Welcome to Corpus sign came into view. For a bunch of girls who've spent much of their existence in North/ Northeast Texas, this was a welcome site. Parts of the Seawall are located in front of the Original Whataburger directly. The Marina stretches for miles.There's no way you could walk it all. But we sure did try. Yes, think Selena movie. Lemme tell y'all about some Stripes. So Stripes is a Gas Station in South Texas. Y'all it's on every corner. You'll even find them across streets from each other. But their is a big difference my non-Texan frans who only clicked this post cause they wanna seem like non-tourist. If the Stripes has a star on it's logo on the buildin' it has the cafe and serves the famous breakfast tacos. If it doesn't it's just another gas station location. I know I just overwhelmed some of Y'all and you can't belive I'm gushin' about gas station food. But, that's one thing you'll learn in Texas. Texans love gas station food. And no I'm not talkin' QT serves food. I'm talkin' we love to put hole in the wall restaurants in gas stations and it's the best thing you'll ever experience. I've been told I've never met a stranger. I can make a fran with anyone. Y'all anyone. It's a blessin' and a curse. But that's besides the point. Coffee is also another blessin' and curse in my life. While your visitin' Corpus you'll wanna do as the locals do. Nothin' to draw attention to yourself. Texans are some of the friendliest people you'll ever meet despite what the media tells ya. But, we don't take the kindest to tourist not wantin' to try our way of life. That includes local cuisine. Coffee Waves is the Coffee of South Texas. I know you just gotta have your Starbucks fix but don't do it. And truthfully you'll thank me afterwards. But, back to makin' frans. I made all sorts of frans as I waited for my coffee. And yes the conversation of Starbucks and how it's the Devil to many South Texans did come up. HA! If I have to explain Selena to you, it goes beyond us not bein' frans. You cannot visit my State. You are not welcome. No, but seriously y'all. So, I know everyone wants to know about where she was murdered but I'll let y'all in on a little secret. It's a no-no. You don't just go to the hotel and look around. It's off limits unless you are a payin' customer who bought a room. I kid ya not. So, don't show up lookin' a mess and embarrassed when you are turned away and can't even get pass the front entrance. Texans down in South Texas still morn her death even 20 years later. She is their hope. She told their stories. She sang their songs. She let the world peek into a little untold section of South Texas. Got it? Good! But, what you can and should visit is the famous statue for starters. And it's conveniently located on the Seawall. See what I did there. And yes's it talks to you in English and Spanish. Located close to the Gazebo from the famous washin' machine scene in the movie. And yes, Analisa, who came with us, is frans with the girl who played little Selena. They grew up together. Her grave is also a must see. But, Y'all use some common sense and be respectful. That's all I'm sayin' on that. Manager: "Thanks for comin'. Did you see Suzette, Selena's sister? Manager: "she's by the water fountain takin' pictures." And then her dad walked past me, and I died. Y'all want the truth, or the story I tell my Momma? HA! Well, the church wasn't gonna happen this trip. Brunchin' and loungin' by the gorgeous pool our condo had were more concern. We happened to be loungin' by the pool when Sherry looked at her phone, glanced over at me and goes, "tomorrow is the day of Pentecost!" My response, "it is.." As we both immediately start lookin' up churches on our phone. Jesus said, "I'm showin' Y'all heathens." Lemme stop this and say, "I ain't Catholic in the least bit. But I love me some Jesus and a good old' service celebratin' his loveliness." We realized our condo was down the road from St. Andrews. We woke bright and early that Sunday mornin'. Actually, it was late for me but that's besides the point. 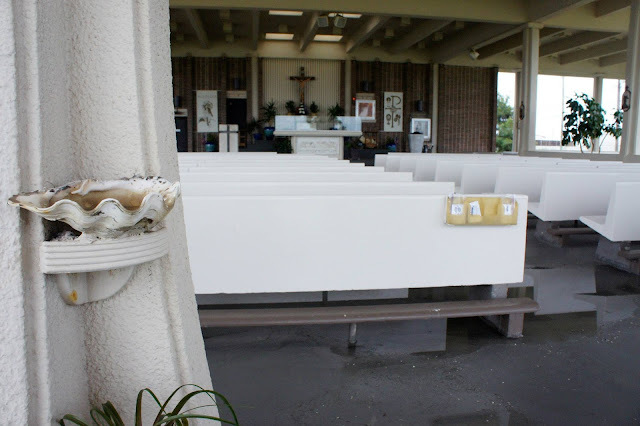 If the church wasn't grand enough the fact that we could hear the ocean in the background and walk over to it was. They even have an outside service when the Texas weather get's her life together. If you don't know a thing about the USS Lexington, I need you to open a History book or watch a modern day war movie asap. Her beauty was commissioned in World War 2. She now sits off the Seawall near North Beach. A Navy museum that only cost $15 bucks. This is another one of those: use common sense and be respectful when visitin'. The mother of all free things. Wait that isn't entirely the truth. Daddy always said, "ain't nothin' in life free. The only thing I gotta do is pay taxes, be black and die" Momma always responded with, " you could not pay 'em and go to jail. Michael Jackson ain't black no more, and you're alive in Heaven." Lookin' back I always chuckle cause they sure were right. So, this isn't entirely free. It'll cost ya some time and gas. Corpus is a little island on the Gulf Coast of Texas. If Y'all didn't know that, then I don't know what to tell ya. For all Y'all tourist readin' this post, it's also called the Beach Loop. Ya make a good ol' circle around Corpus. Sunday afternoon we had some free time before we headed to Mustang Island. We met up with a couple locals Analisa was frans with and they took us on the drive. On this drive you see everythin' Corpus has to offer. You'll also encounter many a tourist site. Now this, this is where you can stop/take pics and be a general tourist. Even the locals do it. Only catch: Bob Harper Pier. It is the premier fishin' spot. Do not, I repeat DO NOT get in they way as they fish. They don't take to kind to that. Especially when Texans wait all year to fish that spot. Now, lemme tell Y'all about the Ferry Ride. This is a thing. 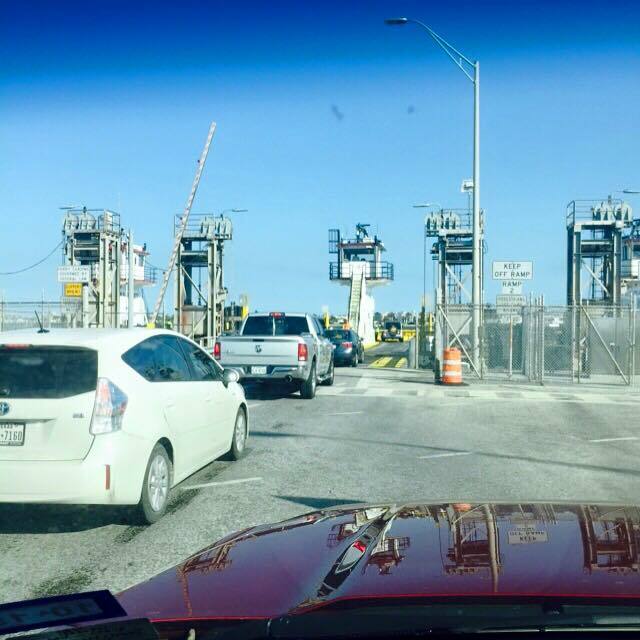 Locals do it daily to get from Corpus to Port A and Mustang Island and back. The Ferry and access to the Ferry is manned by the State. Many who live on all the tiny connectin' islands go into Corpus daily for work. It's quicker than drivin' around the bay. Only catch is you need to plan your time accordingly. Only so many cars can fit on the ferry at a time and you will have wait time. Pay attention and follow the rules of the worker mannin' the ferry and entrance. It's an everyday thing for locals tryin' to live their lives. They ain't got time for tourist all in the way when they could be doin' somethin' as simple as goin' across to the grocery store. This has to be my favorite thing and the reason I'll be back sooner rather than later. You can read it HERE in my #TravelinTexan post but I know most of Y'all non-Texans ain't gonna click the link, so I'll recap real fast. My #TravelinTexan list was born from a song called, 'My Texas.' When the original post went viral I added another 100 things to the list based on what many Texans told me I was missin'. Truthfully Texas is so huge I don't think I could ever see it all. Well, in the song is a line that says, "Never caught a tripe down in Port A? Then you ain't met my Texas yet." It's a thing Y'all. When I posted on FB that I was in Port A, Port Aransas, people were askin' if I was fishin'. When I told them no, everyone was disappointed in me. And that is why I'll have to be back. But Port A is also a leadin' way to Mustang Island. Y'all, Mustang Island is my favorite part of that section of South Texas. It can get a little touristy but it's so beautiful. A note to all my ladies who visit that are non-Texans: Texas is humid. South Texas is humid-er than you will ever experience. It's a fact, and you must go with it. Don't even fool with your hair and makeup. I don't care what your Southern Momma told ya. It's ok. You just deal. You don't wanna be lookin' like a drowned rat. It's the quickest way we'll know you're a tourist. Also, water is way more important than your next duck face, inappropriately placed alcohol near the water pic that would probably have your boss side eye if he saw it anyway. Water my frans. Lot's and lots of water. If you go and don't take a beach pic lookin' at the water did it actually happen? This is another one of those don't look at me crazy. Sadly, no pics. We were too focused on eatin'. You think you know snow cones. Naw, ya don't know snow cones until you've had the Mexican version in South Texas. They are made with condensed milk. Yes, Y'all, heard me right. Snowballs is the premier snow cone place in South Texas and if anyone tells you different you are allowed to, "Bless their Heart", say "Oh hell no", or take away their sweet tea." Just tell 'em I said so. Need all that traffic I can get. But, seriously. Now, as for Fruteria San Luis. This is a placed you need your bottom too. This is one of those hidden gems you only know about if you live in South Texas. You'll never find it on a best or must list unless you are readin' here. Fruteria is a little Mexican place known for its Mexican fruit cups, smoothies, milk shakes, snow cones, sandwiches, Banana splits, etc. You'll want all of it to get in your belly. Whew! Y'all made it to the end of this post. Good on Y'all. I now bestow on your a little Texas. You're not Texan yet so don't get too excited. But, you will stand out a little less on your next visit and honestly that's a great thing in the eyes of Texas. Yes, so many more things I could have added to the list. I know all my Texans are readin' the end shakin' their heads wonderin' were the pier, restaurants, museums, etc. are. SHHH! I gotta keep 'em comin' back. Remember I need them page views. Gotta pay them bills. As always, Y'all can find me on all social media @glitzngrits, and you can see all my other Texas travels usin' the hashtag #TravelinTexan on all social media. Till next time my frans when I give Y'all a meaty post entitled my letter to The South. Maybe if I type it here, I'll be more inclined to post it promptly. LOVE LOVE LOVE LOVE Corpus! Used to go, at least, twice a year when I was living in Texas. I miss it! 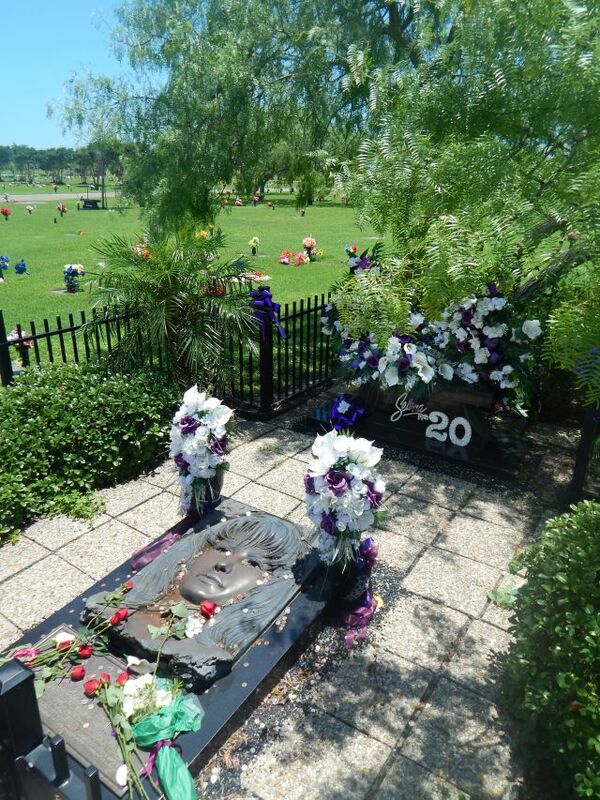 I always visit the Selena statue, but I've never been to the museum - it's ALWAYS closed when I go. I guess I just pick a bad day. I've also never seen a Stripes with a cafe! I'm mad now haha. I can't wait to go back and look for one! You've totally made me miss Whataburger though. Man, spicy ketchup - oh how I miss thee! Looks amazing!!! I need to visit here! I've never been to Corpus - I always go to Austin or Dallas but this is seriously making me want to come check it out! How fun!! We've done South Padre a few times, but never Corpus... Looks like a great time with lots of good food! I have put Texa on my vacation bucket list in the next 5 years. ;) Thanks for sharing these places to visit. I havent visited Corpus yet!! Putting it on my places to visit list!! I'm hoping to take a Texas Road trip next year! 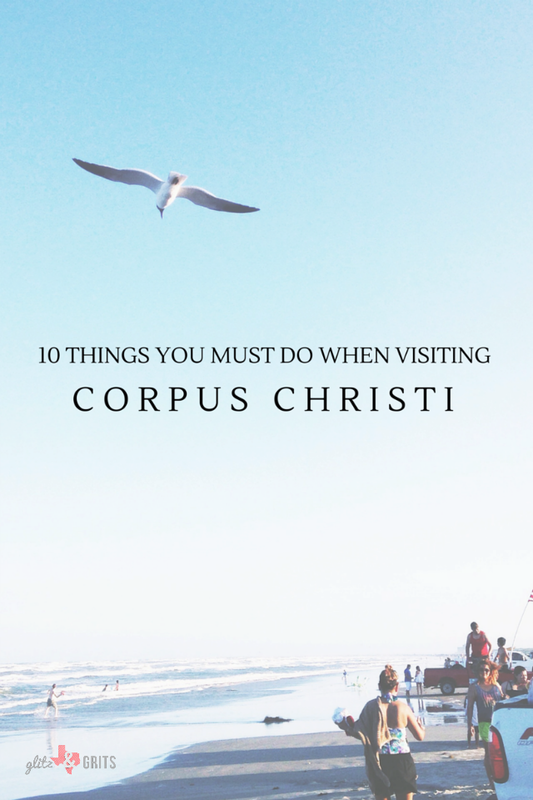 And Corpus is definitely on the list! Thanks for these great tips and Ideas!! We are heading to Port A on Monday, we may have to make the drive to Corpus to cross some of these off the list! My husband is actually headed there for 6 weeks for work in January, so saving this one for him, too! Shut Up!!! Oh my gosh... I am so focused now on your Selena experience. Oh my goodness.. you have experienced something so awesome that not so many people get so experience. Oh wow... to be in your shoes during that moment of meeting her dad and sister! SN... Shame on me.. I did not know there was a museum and the grave.. So beautiful. I guess I will have to head to Corpus and check your recommendations out! I love hearing all about your road trip!!! I love the culture and tradition of the south... sounds like you had so much fun! Love your post! I had no idea that's where the original Whataburger was...we can def be friends;) Love the selena museum too~ I've never been to CC, but my mom grew up going there. We always went to Galveston when I was a kid. Second: WHATABURGER! YASSSSSS! When I lived in Texas briefly a few years ago, I discovered Whataburger. It rivals In and Out Burgers for me. SO GOOD. I want to go to Corpus now. It's moved up on my list. And I want that Ain't Texas shirt. I have a San Antonio Bucket List but I'm going to have to steal a bit from your Texas list. When you're ready to climb Enchanted Rock let me know. I'll be working at the Peachtree Inn in Fredericksburg as of August. Enchanted Rock is top of the list to do, maybe this fall. I'm a big fan of snoballs with marshmallow fluff. I never new it was a thing until moving to the East Coast. I have never been to Texas and it was already a MUST VISIT, but all these gorgeous pictures just bumped it up a few numbers higher! Cannot wait for my first trip there next year! I've only been to Corpus once, but plan to go again! I had no idea there was a Selena museum!!! Amazing! Your photos are gorgeous! You definitely make me want to travel there :) The Bay Drive especially looks amazing! OMG I love WHATABURGER!!!! I'm so glad to be back in Texas. We plan on taking the kids to Corpus here soon. We will definitely do it either before school gets out for the summer or after school starts again next year. I'm not big on crowds but love going places. Definitely will be bookmarking this so I know not to miss anything! What a beautiful city! I love Whataburger so much. Glad me have one in MS, but I'd love to visit that one! ...But you can't take the Texas outta the girl.